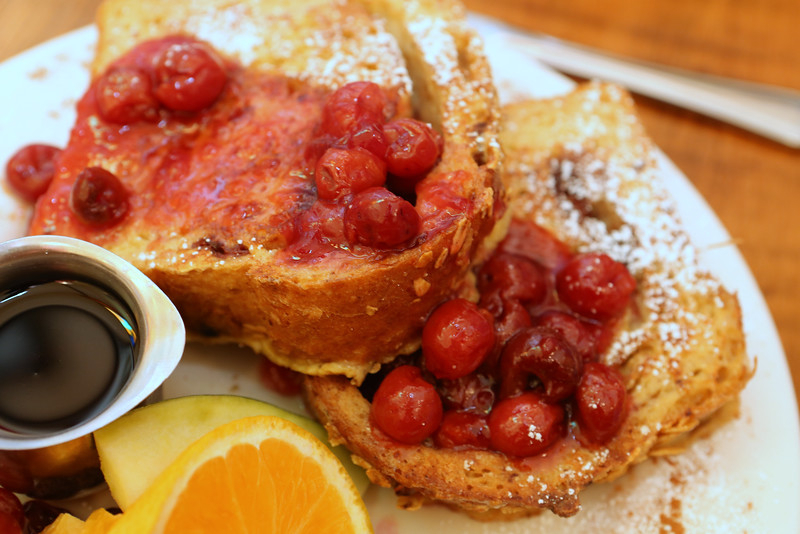 All breakfast entrées are elegantly served with seasonal fruit. French bread, butter and Brandied Apricot Marmalade. Salmon and Cream Cheese, served with a New York Bagel. Juice and Coffee or Tea. 6 oz. portion served with your choice of Greek yogurt or milk. 100% Door County Maple Syrup. Cheese grilled on our French Pan Loaf. with a side of Door County Bakery Chopped Cherry jam. Plated with toast & fruit.